Neocalvinism is a tradition detached from the broader and longer, western intellectual tradition. It's detached from its confessional roots, and from a catholic understanding of church. Most of all, it's detached from ecclesial community. Is it truly a mere publishing project, with a view to variously showing signs of vitality or allowing evangelicals to recover a Christian mind? Neocalvinism . . . Dan Knauss replies, "Just say, 'No.'" While trying to form a response to the question, "Why aren't you a neocalvinist?" I find myself uncertain whether it is intended primarily as a broadly philosophical question a person could reasonably ask a wide range of Protestants, or if it really implies an ecclesiological question as well. "Why don't you agree with neocalvinist thought regardless of your church membership?" versus "Why don't you belong to a Reformed church denomination where neocalvinism has some purchase?" In the past I would have restricted myself to the first question. I would have said that I saw (and I still do see) much that is admirable in neocalvinism as the only sustained alternative in North American Protestantism to marxist thought and political action that has also been attentive to critical insights on the left (and the traditionalist right) regarding modern, social and political problems. Early in my exposure to neocalvinism, it struck me as being unique in this way within all of Anglo-American Protestantism, barring some parts of the Anglican tradition that barely exist now and which have in many cases adopted radical marxist and gay liberationist agendas. Along with the parallel, ongoing movements in the Catholic church that influenced Abraham Kuyper over a century ago, neocalvinism has an older, deeper, and wiser basis for understanding the modern age than its other co-religionists with a Reformation heritage. To account for my partial admiration from a distance, I would have singled out points of historiographical and philosophical disagreement, starting with the facile critiques and rejections of various straw men: the various -isms, whole groups of people, historical eras, key figures and bodies of thought that neocalvinism has discarded. In this discarding process a deeply parochial anti-intellectualism is ironically built into the foundations of a movement ostensibly aiming at a cultural and intellectual renaissance. From Herman Dooyeweerd to Francis Schaeffer and Nancy Pearcey, a confessionally partisan, self-legitimating history is told, apparently in total ignorance of and complete contradiction to established historical and theological scholarship of at least the past three decades. "Humanism," pretty much from the Renaissance on is labelled a groundswell of autonomist individualism. "Greek thought" is deemed to be fatally flawed with pernicious "dualisms." Catholic thought is dispatched with antiquated generalizations about particular thomistic ideas which are then projected on all Catholic doctrine and belief for the past eight centuries. The real history of monasticism and late medieval/early modern ideas about vocation, and the spiritual and secular domains go untold in favour of a leveling "white hats v. black hats" narrative. Out with all of the above goes natural theology and any serious credit to reason untouched by right Christian (that is, Reformed) faith and doctrine. I have too much C. S. Lewis in me, among other things, to tolerate this Reformed chronological snobbery and "killing of the fathers" that undervalues those who have come before, or those in other folds, in order to overvalue its own elect, attributing to them a presumptive intellectual superiority. Never one to hide from a paradoxical reality, Martin Luther said it is better to be ruled by a smart pagan than an ignorant Christian, and a lot of Christians who have bought into some version of Dooyeweerd's "Whig" view of history strike me as willfully ignorant to the extent that they adhere to the myopic, rejectionist, backslapping groupthink of Dooyeweerd's identity-forming narrative. In the past I also would have cited as an objection to neocalvinism the Dooyeweerdian concepts of structure and direction, which I see as parts of a false dichotomy. As with Marshall McLuhan's maxim, "the medium is the message," structure is direction. Societal structures are, in the neomarxist critical vocabulary, interpellated with ideology and thus have strong directional biases. Furthermore, we are always and already complicit in them. To me, neocalvinism appears to severely underestimate the difficulty of its culturally redemptive, reformative, and transformative aims in large part because it lacks and seems resistant to an immanent criticism that recognizes we are situated in the very cultures and structures we criticize. That seems a strange blind-spot to have, since it follows from the idea that there is no Archimedean point outside of culture from which we may critique it—a thoroughly Dooyeweerdian idea. I attribute the prevalence of this blind-spot to the fact that it has been easy and comforting in the small, culturally homogenous enclaves where neocalvinism took hold to look out at the rest of the world from a pride-inflated promontory. And if secularization and cultural assimilation are feared enemies, you probably won't go looking for their causes in your own midst, in your own churches and schools, in your own mind, in the minds and habits of friends and family members. Thinking Christianly is supposed to be the tie that binds, but it can also bind people to a parochial Reformed version of what Tom Wolfe called "Rococo marxism"—a kind of identity politics prone to grandiose speech and self-assessment in the rarefied air of a handful of small academic and civic organizations. As bad as they may sound, none of these critical objections explain, in themselves, why I am not interested in being a neocalvinist. What they do is indicate the deeper problems of concrete, lived existence beyond merely philosophical and academic questions—problems that go beyond my first interpretation of the question "Why aren't you a neocalvinist?" as a question about intellectual commitments to an interpretation of it in light of communal and ecclesial commitments—the primary ties that bind. Though it is important, Christ did not commission his followers by exhorting them to think Christianly and to spread the Christian worldview gospel. He gave them the power to forgive sins, to loose and to bind, and He called them to be one community, united in love, as His bride and body. I think that most neocalvinists would probably not intend the question to be taken this way, although I sense an undercurrent in that direction in some recent contributions to Comment, like Chris Klein's "The vocation of leaving or staying" and Al Wolters' "What is to be done . . . toward a neocalvinist agenda?" Neocalvinism is often understood nowadays as "Reformational philosophy" that potentially can be embraced or simply used by Protestants regardless of their own church affiliation. Yet in history and practice, neocalvinism is most prevalent on the native soil of particular Reformed church communities, and beyond that boundary it is attractive mainly to self-identified evangelicals precisely because they lack a grounding in particular places, groups, and institutions and thus have more of a tradition of identity crisis than tradition in the traditional sense. As I understand it, historically neocalvinism began as a confessionally specific effort to remediate some of the perceived problems in classical, Calvinist doctrine and to turn Reformed churches away from their withdrawal from, and concessions to, modern politics and culture, first in the Netherlands and later in North America. In North America, the perceived threat of cultural captivity entailed or was thought to be synonymous with the descent of Reformed Protestantism into a generic Yankee evangelicalism. This message, expounded by highly motivated groups of neocalvinist, lumpen intellectuals, partially penetrated some of the calvinist churches in the New World but also ran into serious opposition and reached an impasse as a church reform movement. At the same time, neocalvinist ideas and criticism about faith, culture, and the life of the mind enervated many evangelicals who digested the message in their own ways. 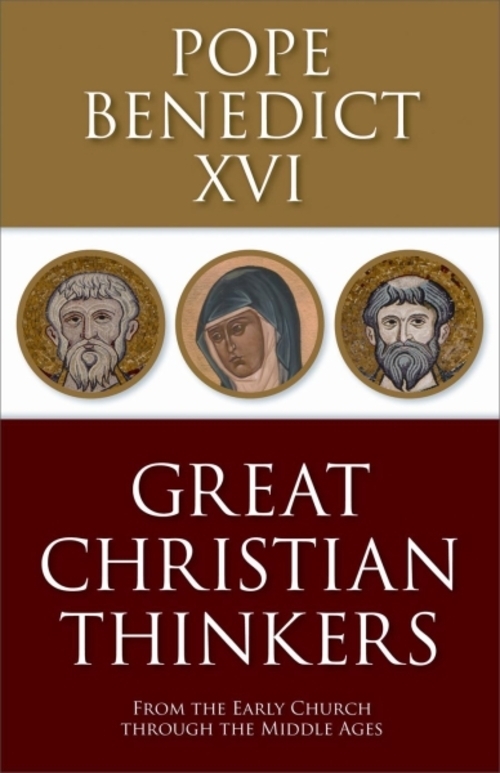 As a result, from the 1970s to the present, what began as an internal reform movement in specific Reformed churches has become a far less ecclesially grounded and more generalized intellectual movement with a focus on "Christian worldview" and "thinking Christianly" about all kinds of subjects and fields of knowledge. This has all been very good, as far as it goes, in some respects. I personally benefited from the mediated influences of neocalvinism when I was a denatured free-church evangelical in high school and college. But perhaps it is not going too far to say that neocalvinism now has no necessary ecclesial grounding at all and no real agenda regarding the church or churches of any kind. This may even be seen as a good, "ecumenical" situation by its adherents. If so, I disagree with that assessment. The various intellectual disagreements I have with neocalvinism as a kind of philosophical theology are vastly less important in explaining why I am not a neocalvinist than the fact that it now increasingly shares with fissiparous free-church evangelicalism a detachment from a defined ecclesiological reality, from concrete communities, and instead accepts a cafeteria approach from those who appropriate it. Neocalvinism appropriated by free-church evangelicals, Presbyterians, and Baptists can't address what is always the really critical question of the day—"What is to be done about the church? "—because each group has a different notion of the church due to past conflicts and divisions. These differences and divisions cannot be papered over so that other supposedly "more urgent" matters can be dealt with by conjuring a belief in an imaginary, abstract, non-historical "invisible church" in which a mythical "mere Christianity" is proclaimed. No one actually lives there, and if they did, their lack of furnishings would send them searching for the very things that are only grown from seed over many generations in particular communities with particular confessions and distinctive traditions, warts and all—as the neocalvinist tradition testifies. If in aspiring to be ecumenical, or universal, and in that sense "catholic," neocalvinism must leave behind the confessional communities in which it was nourished and is most intelligible, then it becomes something else—something rather flat and hollow. It may well end up being assimilated into some kind of synthesis with inchoate free-church evangelicalism. What I really want to ask then—querying the questioners—is this: What would being a neocalvinist offer me and my children ecclesiologically and communally? Will it baptize and catechize my next son or daughter? These are serious questions, and I don't think neocalvinism has real answers. My city and its neighborhoods have been falling apart for decades, and their churches with it. My family does not have the time or resources to invest in quixotic or ill-conceived loyalties based primarily on "right thinking," "worldview," and other theoretical matters. 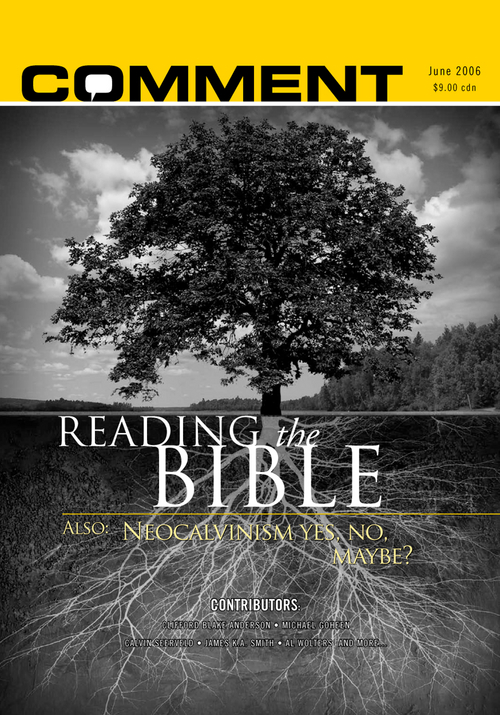 We do not need neocalvinist studies of "the pistical modality" via Christian devotional classics. A common life of prayer and devotion, however, is quite salutary and needful. Neocalvinism might be accommodated in a "whatever floats your boat" fashion in the local Lutheran church I presently attend, which is hell-bent on forgetting or reducing to occasional "worship style options" its last vestiges of Lutheran liturgy and doctrine as it follows Rick Warren and the "best practices" of other religion-as-business gurus. Focus groups are poised to direct pastoral work. Sacramental life and what was once called "cure of souls"—what's that? Previously I explored the relatively intact, more traditional Lutheran churches that Luther himself might still recognize. They are often admirably confessional and opposed to evangelicalization on the Rick Warren model. But they wouldn't tolerate me as any kind of calvinist, though some congregations might be inclined to welcome my family to their typically dwindling urban congregations. Neocalvinism might work out if I mostly "kept it to myself" within the local mainline churches that are pretty well apostatized by now but sometimes accommodate a few orthodox members as an exercise in tolerance and out of a need for any kind of growth. We've given a few of those a whirl as well. They have the weird distinction of preserving a more authentic worship and devotion while being increasingly detached from orthodoxy. Sadly, they are steeped in more scripture every week—singing and speaking it together through their liturgies—than many evangelical and Reformed congregations hear in a month. Probably the logical option, were I to commit to being a neocalvinist, would be the lone Christian Reformed church far away in the suburbs, but they too have been pulled into the Warren orbit. Throughout that denomination, core confessional documents—which remain a point of contention within reformed churches—are creatively misread, disagreed with, or simply ignored with the result that they are much lower on the cultural literacy map than Britney Spears. Not a fan of reformed theology by any means, what concerns me about this situation is its structural and directional homology relative to mainline Protestantism. In both places one senses the same individualistic, revisionist notion of commitment and fidelity. In the years my wife and I attended that church, there was a strong opposition to starting new congregations, especially in the city, especially near the place where we live. "The city," it was clear, was code for "poor, black people," and the words "Abandon all hope, ye who enter here" may as well have been engraved over an invisible urban gate bordering the sprawling former farm and wetlands these unsettled people have settled into. Their pastor would at least pitch moderately hard-hitting sermons against materialism, consumerism, and various stereotypical vices of affluent, religious Republicans. A few old men fitting that description would mutter dissent in the lobby afterwards, and that would be the end of it. This arrangement was good for tempting my wife and I to feel smug as members of a select choir that already bought the message, a message verging on the merely political and philosophical content of the "social gospel." I don't recall any communion services. They must have happened, but they were not memorable. It felt reformational for us to leave and commit to attending a local liberal church invested in the city and a diverse membership in terms of race, class, and sexual orientation. We discovered this church when its members held a prayer vigil on our corner when a storekeeper was shot and killed there by thieves. But this too was substantially a commuter congregation of good intentions and foggy ideas; there was finally no unity or coherence of belief to make it a functional community. Among Reformed readers, some of these descriptions may be all too familiar in their own experiences. Maybe some see no real problem with the changes their churches are undergoing, or regard them as inevitable, or reactively infer that some sort of ethno-cultural and doctrinalist exclusivism is their historic and only alternative. Nevertheless, the situation is real and serious, and I am not sure what neocalvinists bring to the table except perhaps the hope that a few colleges in which they have a foothold will be sufficient to offset prior malformation or non-formation of their communities' youth. There is much I like about neocalvinism's former, more aggressive aspect, often as harsh critic of "Amerikanizing" churches, but motives and results, as always, seem to have been rather mixed. Some respected thinkers who might have been sympathetic didn't much like what they saw in that mix and backed away, with some good reasons, and those days are gone, for better or worse. Today neocalvinists take the soft approach. They have produced many books, and I have unloaded quite a few of them in my church's library where they sit, subversive mindbombs waiting to go off. Given this real-world context, the question of neocalvinism is, for me, not only "What would be the point?" but also "How much value or even truth is there in putative truths that do not hold, that are not sustained even where the ground should be most fertile?" While the hopeful in the inner circle ask, "Who will be the next great Reformational philosopher?" I wonder from what ground they could possibly spring. Have there been "famous men" and women of neocalvinism, "which have no memorial; who are perished, as though they had never been; and are become as though they had never been born; and their children after them, but who were merciful and their righteousness has not been forgotten?" Surely there have been many. The important question is, have there been enough? Will their seed "continually remain a good inheritance, and their children . . . within the covenant?" In the post-confessional future that is at hand, will the wind say only, "Here were a decent godly people, their only monument a heap of books, manifestoes, periodicals?" If that happens, will it be because there was not enough thinking, talking, and writing? The point of these texts I've lifted from Sirach and T. S. Eliot is that a healthy order needs no memorials, no decadent notion of a legacy or patrimony that functions as a security blanket for a people in decline to hang onto. Rather, it fructifies and is its own inheritance for its future generations. It has a vital community of tradition—the living faith of the dead—living because it is heritable and received, generation by generation, in a quite visible, sacramentally vital church. Through particular people in particular places praying where prayer has been valid, the universality of the church emerges. It was this kind of church that the magisterial reformers did not intend to discard, as witnessed in things like Luther's and Calvin's retention of infant baptism. This ritual vexed Luther as a practice utterly lacking in biblical warrant but utterly necessary to his understanding of the faith and the culture which was then (and still is) coming apart at the seams. I do not think it takes a stretch of the imagination to see neocalvinism as a compensatory, extra-ecclesial project trying to do the church's work by other means: baptizing minds through ideas that are often disseminated from para-church presses and professorial para-pulpits. If this is so because the church is not well itself, then that suggests problems of sustainability for its intellectual movements, problems that seem to be going unrecognized or kept in the shadows. To put it simply, neocalvinism may have put its intellectual cart before its ecclesial horse, which has been left behind to graze freely. Dan Knauss is the arts and design editor at The New Pantagruel. He also has been or is presently involved in several community enterprises, including the Riverwest Currents, the Riverwest Neighborhood Association, the Riverwest Workers' Grocery Co-op and Caf?, and the Riverwest Investment Cooperative. Dan was a member of the Partnership Of English Majors long enough to acquire the coveted ABD after long study of fine things like sixteenth-century typography, apocalypse, and polemic. A renewed emphasis on what I call "vocational stewardship" could go far in wooing the exiles and the nomads back.